SEO has always been an ongoing thing. Search engines change the way they rate and rank websites regularly, so it is only natural that us site owners change the way we do SEO as well. Local SEO has been the hottest trend these past couple of years. If you don’t optimize your site for local SEO yet, here are the 4 easy steps you can take to get started. Google is still the primary source of traffic when it comes to search engine optimization, so among the first things you need to do when you want to optimize your site for local SEO is to actually sign up for a Google Business Page. This is different than getting your site indexed. Google Business Page is very similar to a Yelp review page, but with a few added benefits. With a Google Business Page set up, your business will start appearing on Maps searches and other Google products. Be sure to add your complete address and your phone number to get indexed even faster. You should also complete the address verification process too. Not all keywords work well with local viewers or market segments. The words “auto” or “automobile” for example, are actually more commonly used by certain viewers than “car” when they are doing an online search. Revisiting your keywords and optimizing them for local SEO are great for improving your site’s SEO performance. The Google AdWords keyword planner is always a good place to start. You can get a lot of insight and find keywords that work well with the market segment you are targeting rather quickly. You can also use other tools such as Market Samurai to know more about the keywords that work well with your audience. One of the best way to boost your site’s local SEO performance is to actually add location info to select areas of your website. Adding a full contact information to the footer of your pages, for instance, can help search engine identify your site’s local market segment more accurately. Another thing you need to do is to modify your site’s head and title tags. Add a city you are based in to a title tag and add location-specific keywords to the <head> section of your site. 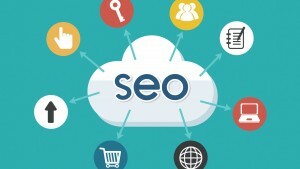 If you are based in Toronto, for instance, simply adding the keyword “Toronto metro area” or something similar can greatly improve your site’s SEO performance locally. Last but certainly not least, start making adjustments to your content. Instead of using general references, start adding area-specific keywords and keeping the articles as readable and enjoyable as they can be. User experience matters more than keyword density and other conventional metrics nowadays. Search engines value these aspects less than readability and user experience simply because the later affects users more. Also, try to write appealing and valuable articles that users are actually happy to share. You will start seeing the impact of great content almost immediately. SO, thanks for sharing this important post. Nice write-up. All points are very effective for getting local SEO results. Great Content and google business page are the core points to take action for good results.